I love all pets but I'm especially good with dogs. 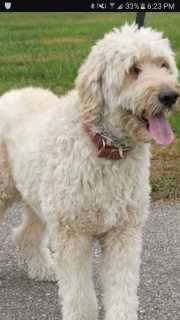 I owned a goldendoodle for a few years now and he is more than just a pet he is a member of the family. I am also good at training as i have trained my dog as well as others. I love all animals and promise I will treat your pet as well as I would treat my own. Your pet will never be left unattended and will receive as much physical activity as they need. Niteesh's Pet House Sitting service is located in or nearby Markham, Ontario. Book via PetBacker for Insurance, Payment protection & 24x7 support. If you have hired Niteesh before, leave a review now. Contact Niteesh now with your pets info. If Niteesh is busy, we can help include similar Backers.